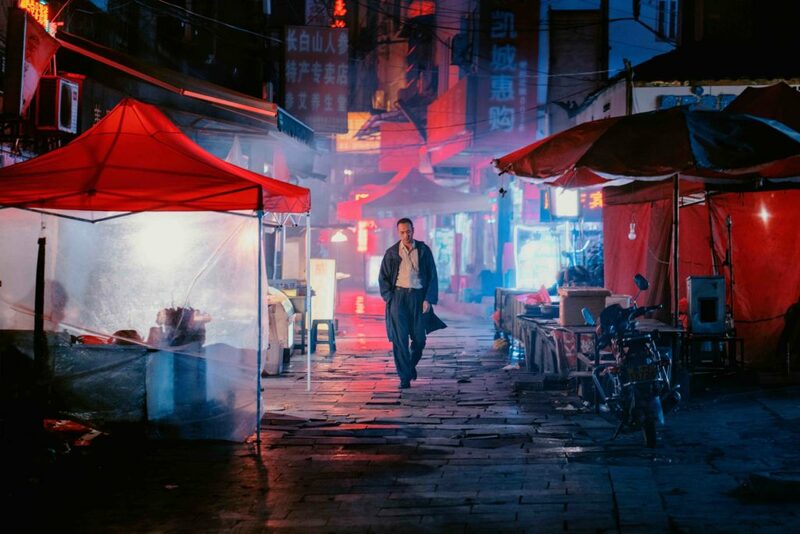 SDAFF 2018: LONG DAY’S JOURNEY INTO NIGHT – What the hell? Yes. 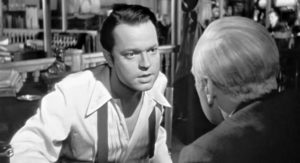 In the early 1960s, I remember seeing a film on the BBC called Citizen Kane (1941) and mum telling me it was about a child’s sled on the mind of a dying adult and according to her it was a French influenced movie. The only things that had meaning to me was that I had never ridden on a sled and didn’t know that the French made films. That was my introduction to film noir (dark film in French). Now that I’m in my early ’60s and had just finished watching Chinese director Bi Gan’s film noir Long Day’s Journey Into Night, the title borrowed from Eugene O’Neill’s famous 1941-42 stage play title, I thought the movie’s title coolly reflected the crazy sanatarium sensibility and drugged up deranged madness and insanity that O’Neill undoubtedly encountered during his 1912-13 experience in a sanatorium, which is the impetus behind his play. So what’s the short explanation for Journey into Night? What the hell is this? with the answer being Yes it is. And that’s film noir for you, stylish crime dramas that accentuate cynicism and sexual motivations, plus, a lot of scenes that seemingly often don’t make sense. Yet as a we watch and go through what the characters grow through, along the way there’s a lot of What’s the point of that? scenes that are all thoroughly open to interpretation, thus why film noir can take up a semester of film school to discuss. If you saw the movie, the obvious amazing scene to everyone worldwide is the elephant in the room last hour of the film. To me, another What? moment is when one of the characters, in one take, slowly eats a whole apple as he drives himself to tears…yes, the whole apple, from start to finish. I laughed to myself because I couldn’t stop thinking about how many takes of eating a whole apple did he have to do in order to quench Bi’s appetite. I had a similar moment as I earlier watched another SDAFF noir film, A Land Imagined, when the antagonist took off all of his clothes and ran on a tread buck naked at a rather brisk pace, I might add, for about two minutes, with everything literally flapping in the wind. I laughed thinking about how many takes the director had the actor do the shot and the pain the actor might have felt as well as the exhaustion. Apart from that, the film was pretty clear to me, not that I expect everyone to agree with me. Yet here’s what’s probably common for everyone. 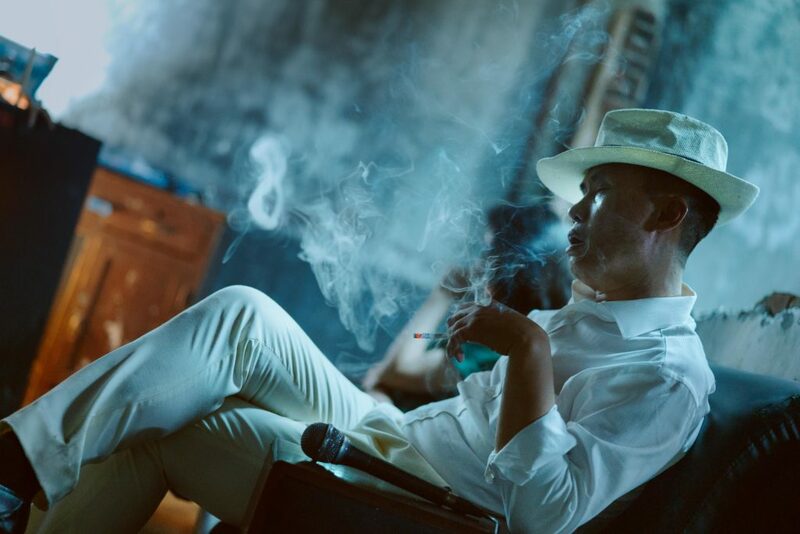 It’s about former casino owner Luo (Huang Jue) who travels between the real, his dreams, and his memories, in search of Wan Qiwen (Tang Wei), the woman he fell in love with in his hometown Kaili. 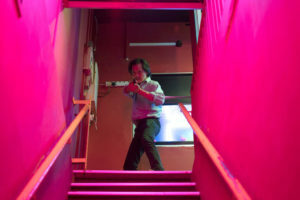 Amid heavy rains and dripping water everywhere, a great mood enhancing device, Luo begins the search in a run down restaurant originally ran by his father, Wildcat, who was murdered ten year earlier. His first clue is a picture of Wan with a what looks like a cigarette-burned hole in it, hidden in the back of a rusty broken clock. 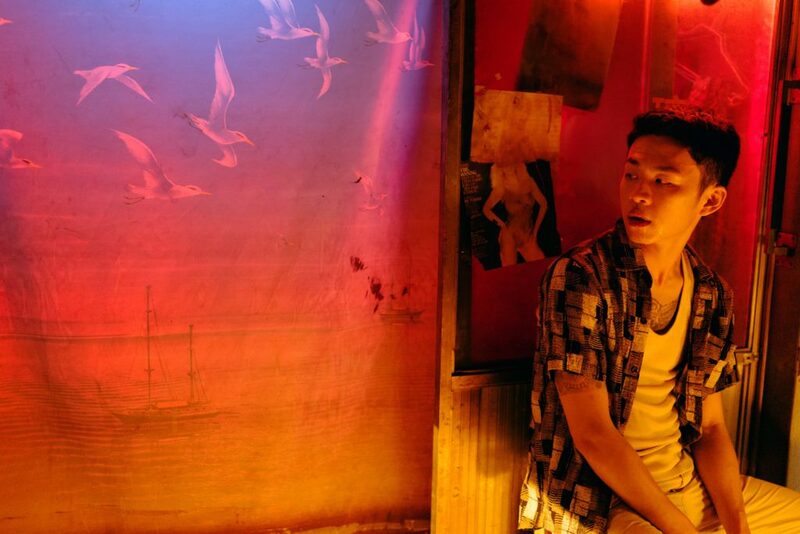 Following the trail leads him to a woman’s prison and an inmate who gives him a little green book she stole from Wan’s house. The book contains clues in the guise of spells, the alchemy of flight and how to make a house spin around, which we know must hold quasi-spiritual sustenance and importance of what is to come. However, one of the things that was confusing to me, and maybe it was just the English translation, but on several occasions it seemed that Kaili was a female character’s name and also the name of a lackadaisical dog. By the time we get to the all important third act, an hour-long, 3D, one-take, mind bending, soul grabbing and OMG visual bombardment sequence, it begins in a low brow, musty, dank and dingy movie theater featuring a cineaste 3D presentation of who knows what. When Luo puts on 3D glasses, that’s our cue to get in line, don our 3D classes and prepare for the kind of O’neill madness and mental misconstrued distortions that patients often suffered during their stays in the early 1900s sanatoriums set up for patients with serious mental and long term physical health issues. As mentioned earlier that film noir can take a semester to discuss in film school, the same holds true in an Italian literature class taught by Mr. Bottino who spent half a semester debating the first part of the Italian writer Dante Alighieri’s 14th century epic poem Divine Comedy, a allegory about the soul’s journey toward God by recognizing and subsequently rejecting sin. Most people know this first section as Dante’s Inferno as the author is guided through hell by the Roman poet Virgil (wrote The Aeneid), a place depicted as nine concentric circle. The journey starts with Dante, I mean Luo, descending into a hell-like netherworld via a slow moving basket on zip line from the wide spaces of a hill top down into the narrow claustrophobic confines of tunnels, meandering corridors to the core (a ball-shaped pseudo-center of hell), where he must face and challenge Hades, the God of Hell, to a contest (hmm, maybe ping-pong?) as means to find his way out of hell. Though I can’t truly remember, it seemed subconsciously to me that nine mains sets were used during the 3D sequence. The droning and wailing music that lulls in the background sounds like moaning and whining spirits trapped in hell, a circus of party goers, singers, gamers and the odd mad animal, as it regurgitates in our brains like a hypno-wheel that straps the body and traps the mind into relinquishing themselves into never escaping from hell and remaining in purgatory forever. Like Dante, Luo must also find a way out. BTW, I have to hand it to my mum, her short explanation about Citizen Kane to her 7-8 year old son was descent considering mum rarely watched movies back then.